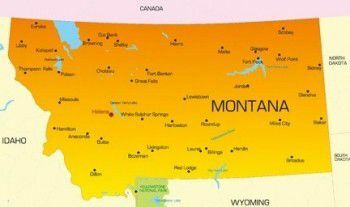 A clerical error in the Montana ballot initiative to reverse new restrictions on the medical marijuana program could set back the measure by a year and a half, according to a report from the Associated Press. Two new sections of the measure, known as I-182, were added to the proposed legislation without an update to the effective date, which is still listed as June 30. The error would force some of the measure to go into effect immediately, while other parts would have to wait until the listed date. Kate Cholewa, a member of the proposition campaign, called it “an annoyance, not an issue,” adding that because it’s a technical error it should be able to be corrected if the bill is approved in November. However, Todd Everts, chief legislative counsel of the Legislative Services Division, said the language would need to be changed by the legislature — who likely would not be willing to make such a change on a voter-approved bill that reverses their decision. “That is a substantive change, and if there’s a substantive change, it’s up to the Legislature to make the decision,” he said in the report. Some medical marijuana providers are closing up shop as the new rules in Montana take effect on Aug. 31. Those rules, passed by the legislature in 2011, prevent dispensaries from serving more than three patients and include automatic reviews of doctors who recommend cannabis to more than 25 patients.